As the morbid health effects of high-fructose corn syrup (HFCS) continue to be brought to the forefront of the media, the Corn Refiners Association has decided to give their sinister product a labeling makeover. The desire for change comes after the consumption of HFCS dropped to a 20-year low. This drop is due to activists and health advocates exposing HFCS as a mercury-filled obesity bomb. The name change could take up to two years to go into effect. Online marketing ad campaigns, in addition to television ads, were launched following the name change request. The ads deceptively tell consumers that their bodies cannot tell the difference between “corn sugar” (corn syrup), and regular sugar. This is, of course, entirely untrue. The alternative media as well as nutritional health experts were exposing HFCS years ago. The mainstream media, however, sided with the Corn Refiners Association. The mainstream media and the Corn Refiners Association asserted that HFCS was exactly the same as regular sugar. HFCS is much different than regular table sugar. 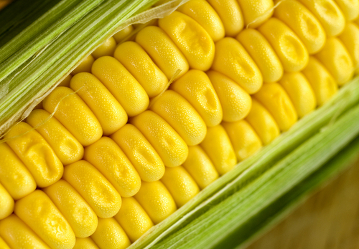 Eighty-five percent of the corn crop in the United States is genetically modified. Therefore, genetically modified HFCS is found in a large majority of products. Genetically modified ingredients can lead to sterility, infant mortality, and a host of other health conditions. Researchers from Pinceton also found a lack of similarities between HFCS and table sugar. In their study, they found that rats who consumer HFCS gained significantly more weight than those who consumed table sugar. This was with the same caloric intake. The levels of HFCS given to the rats were substantially lower than the amount present in soda pop. “Some people have claimed that high-fructose corn syrup is no different than other sweeteners when it comes to weight gain and obesity, but our results make it clear that this just isn’t true, at least under the conditions of our tests,” said psychology professor Bart Hoebel. Changing the name of an ingredient that is known to wreak havoc on the body will not fool consumers. It is important to inform others about the name change, in addition to the scientific research regarding HFCS. It is through consumers speaking out that HFCS can not only be avoided, but eventually removed from most products in response to consumer demand. stop killing the earth. grow your own organics and help heal the damage done to our beautiful planet-leave population centers and take your life into your hands. Corporate media doesn’t control what you think. They control what you're allowed to think about. Quit feeding the damn parasites!